BlueFire Wilderness is one of the best wilderness programs available to adolescents from Illinois today. 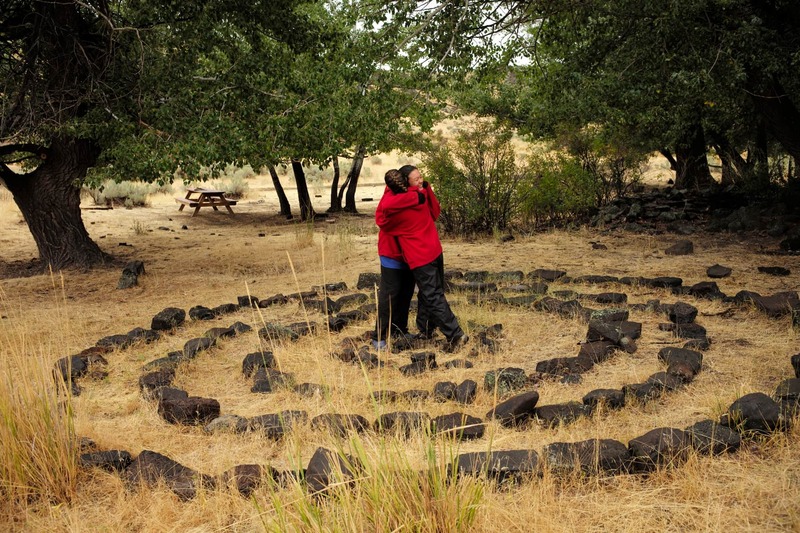 It provides a multi-dimensional experience where expeditions into the wilderness are coupled with individual, group, and family therapy, as well as academic and volunteer work. 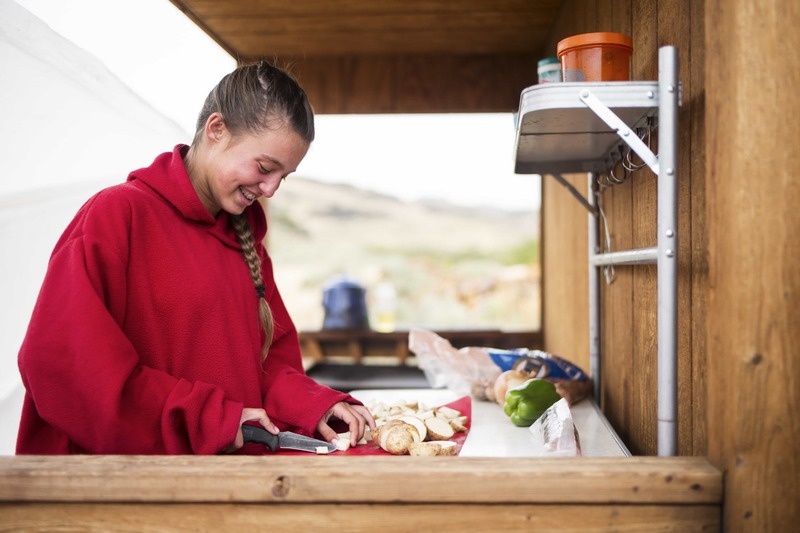 The level of challenge and care that teens from Illinois can find at BlueFire Wilderness is designed to help them reflect on their lives and the behaviors that are affecting the quality of their relationships. BlueFire Wilderness is not in Illinois, but sending your child to a safe, nurturing environment away from the environment they are used to gives them an opportunity to look at their life from a new perspective. Wilderness programs for Illinois teens have the added benefit of being very dynamic and fostering a connection to the natural world. Unlike residential treatment, wilderness programs are proven to be very effective for young people. BlueFire Wilderness offers a wilderness therapy program for Illinois teens dealing with issues like low self-esteem, depression, toxic substance problems, school refusal, and many other problems. Our trained therapists use a range of techniques and approaches to ensure the best possible care for teens and their families. 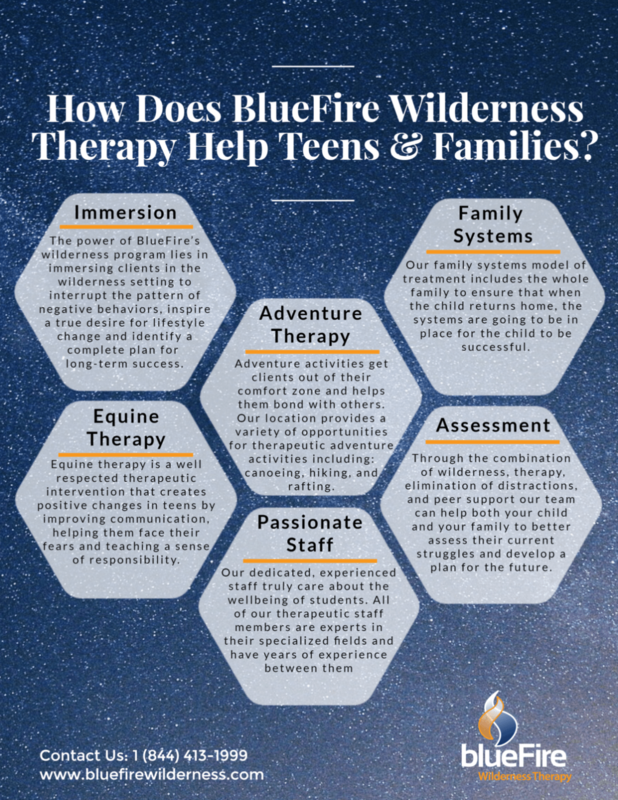 BlueFire Wilderness uses evidence-based methods to give your Illinois teen the best possible therapeutic help they need. Call us at 1 (844) 413-1999 to discuss the options available for your child. BlueFire Wilderness offers one of the top wilderness programs. BlueFires many innovative and unique elements are held together by a common vision: that of helping teens explore their core selves and develop healthier relationships with their families for the rest of their lives. Although being away from home can be scary for some Illinois teens, BlueFire offers a nurturing, caring environment with expert therapists trained in making children feel safe and welcome. Being away from home will give Illinois adolescents a chance to look at their lives with a fresh perspective, without being tempted by the distractions and destructive behavior patterns theyve become accustomed to in their normal environment. Wilderness programs for Illinois teens carry the added benefits of exploring natures varied and awe-inspiring challenges and rewards. They also offer important life lessons along the way. BlueFires comprehensive program offers a broad range of activities designed to stimulate developing teens and give them a chance to explore themselves with the helpful guidance of trained therapists. With the aid of weekly letters, video-conferences, and calls, teenagers from Illinois will have the opportunity to stay in touch with family members and participate in weekly family therapy sessions where trained experts mediate communication and help build trust and mutual understanding. As the teens time with BlueFire draws to an end, staff will gradually participate less to allow for families to create and maintain healthy communication on their own. Therapy Gone Wild: An interesting article featured on the site of the American Psychological Association takes a look at the experience of psychologist Steve DeBois, PhD, who works with wilderness therapy for adolescents. It provides an informative, thorough look into wilderness therapys dynamics, and why it is so effective for young people.